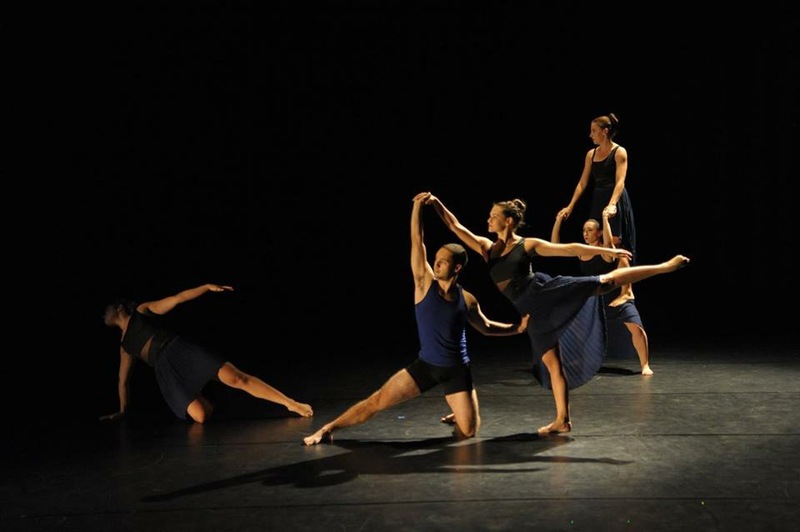 FUSE Dance Company is celebrating its 5 year anniversary this weekend at the Diavolo Dance Space with its show SEVER, directed and choreographed by FUSE founder Joshua Romero. Having seen and reviewed a duet of his in the last MixMatch dance festival, I was looking forward to this performance. The evening-length work told the universal story of humanity’s journey from nature to our highly industrialized and technology driven world. The title referenced the over arching theme that we, as individuals, have severed our ties with nature, with each other, and even ourselves. Such an expansive subject proved aesthetically challenging, resulting in a work that found itself struggling to balance a universal narrative with abstracted design. Despite these conceptual concerns, Romero delivered a series of provocative images and innovative movement phrases that carried the evening through as an enjoyable evening of dance. 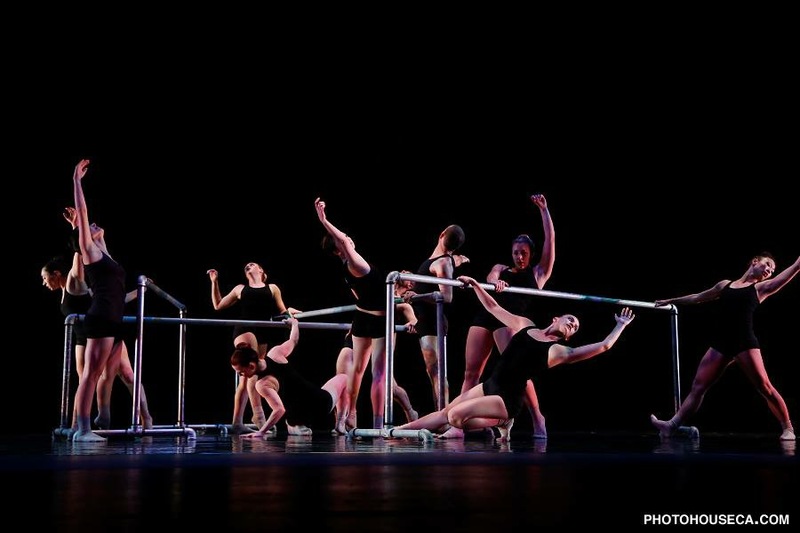 The movement palette for SEVER consisted largely of a mix of release-based floor work and contemporary athleticism, with a pinch of balletic line and jazz isolations to shake things up. Romero has a clear love for partner work, which he incorporated into each section of the work, often filling the stage with a handful of duets all happening simultaneously. The partner work included a variety of full and partial weight sharing moments, with a common motif of the dancers inverting on their hands before propelling themselves off of one another. While the majority of the partnering was highly athletic, one of my favorite moments included the simple clasping and unclasping of hands between the dancers. This theme occurred frequently in the first half of the work, and I was hungry for its development, as its simplicity was able to communicate a deeper connection that seemed to be more at the root of the evening’s social message. The incorporation of props in the form of tress, candles, LED lights, tires, ladders and metal ballet barres, provided the through line for the narrative, offering essential imagery and associations that drove the work forward in time and concept. The prop specific choreography found a high point in Tread. The dancers wore utility jumpsuits while interacting with the tires. This tire choreography was some of the most intriguing in the show. The dancers stepped in and out of them, inverted over them, reached around and along them in phrases that were visually engaging and choreographically innovative. There were even a few occasions in which the tires were intentionally dropped or pushed over, creating an excellent heavy thump of the rubber against the dance floor. This rich sound made visceral the relationship between man, tools and work. Another highlight of the evening came in a very short section entitled Scattered Images and Sounds. This section opened with a female trio performing an intricate set of rhythmic gestures to the driving music of Alva Noto. This phrase had a sparkle that contrasted nicely to the otherwise homogenous athletic-based vocabulary. The quality of movement combined with the rhythmic drive of the phrase was something I thoroughly enjoyed and would have liked to see more of. While athleticism is at the heart of Romero’s choreographic voice, gesture phrases such as this offer a deeper and in some ways more compelling insight into Romero’s unique aesthetic vision as it opens a new door for association, imagery and meaning. The cast of twelve dancers should be commended for their power and athleticism, which they successfully maintained for the duration of the concert. They were required to turn, balance, and extend just as often as they were asked to drop to the floor and support on their hands. The opening and closing soloist, Kellie St. Pierre, met the demands of the work with grace and ease providing an anchor to the show throughout. The closing section of the work highlighted the ability of the cast to connect as they stood in a circle and fell into each other in such a way that they passed the energy along the circle. It was a stunning image of how we are interconnected and cannot escape our ties to one another and this earth. As St. Pierre repeated her thematic material from the top of the show, the others stood dispersed across the space in varied stages of near connection and disconnection. It was in this moment that I felt that the evening landed on the grave meaning of the work. The final moment, however, left me uncertain. As the soloist stood in a final reach, the others departed, leaving her alone, severed from all around her. This final image seemed less to answer a question than to pose a new one. Why are they leaving her? What was to happen to this abandoned human? I am curious if this question might be the beginning of a new choreographic exploration for FUSE.